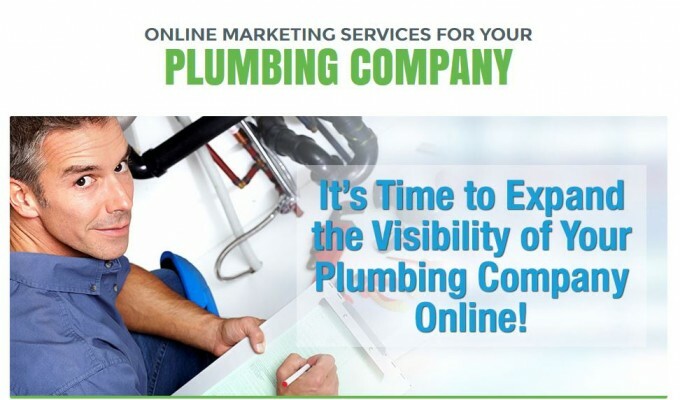 More and more customers are turning to the Internet to look for plumbing contractors like yourself online. Be visible to them by having a website and being active on different online platforms. You may be the best plumber in your town or city, but if you don’t market your services online, you’ll lose out on an important source of business and revenue growth. It doesn’t matter if you’re targeting residential, commercial, or industrial customers, studies indicate that 89% of consumers use search engines before acquiring services. Are you showing up in the search results when potential customers search for reputable plumbers in their area? Can they find you in local listings, directories, and blogs? Do you provide educational content that informs and engages your audience? Do you have social media accounts that enable potential and existing customers to connect with you? Are solid online ratings and reviews about your plumbing business accessible to your potential customers? A recent comScore study reveals that 61% of digital consumption takes place on mobile and tablet. Does your website adjust and display correctly across an array of devices? Don’t crack under pressure if your answer to any of these questions is “no”. The plumbing industry as a whole has been slow to adopt digital marketing tactics, as many prefer word-of-mouth referrals. While your competitors are stuck in the Stone Age, you can race ahead by adopting digital marketing tactics to promote your business online. Our Brand Optimisation service and other online marketing services can build and expand your brand’s presence across the Web and in specific locations. Allow us to help you funnel in more customers into your pipeline and build a positive online reputation for your brand. Fill out the form or call us on 94317317 for an appointment. This article was posted in Info Articles and tagged Online Marketing for Plumbers, Plumbers WA, SEO for Plumbers.